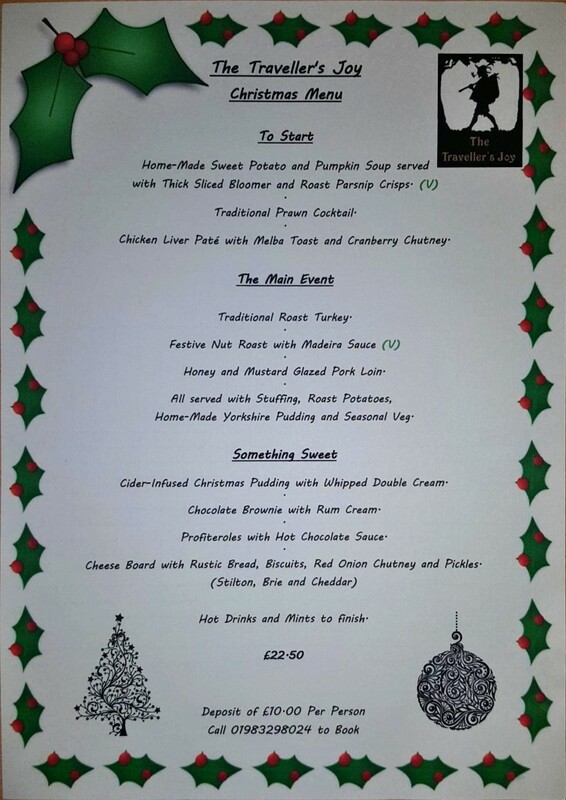 We are now taking bookings for our Festive menu here at The Travellers Joy. Available 1st - 23rd December. Please contact us on 01983298024 or message us on Facebook to book a table. Menus and booking forms available behind the bar, pre-booking essential! The Travellers Joy Family look forward to seeing you!